That image (filename: IMG_6514.JPG) is unavailable. Obverse description: Bare head facing left. 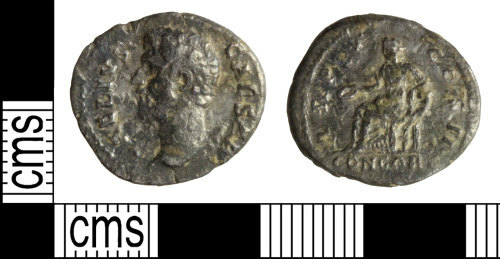 Reverse description: Concordia seated left, holding patera, resting left elbow on cornucopiae, set on base.